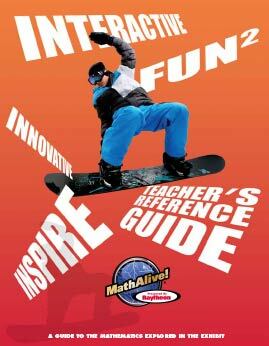 Welcome to MathAlive! To support you in planning a field trip or bringing MathAlive! into your classroom, a range of materials and resources are available to help. Teacher’s Activity Guide: this guide is designed to be downloaded and can be printed by activity or in its entirety. Click here. The activities in the Teacher’s Activity Guide can be used before or after your visit to the exhibit. They are designed for teachers as well as community group leaders and museum educators who work with upper elementary and middle school-aged students. 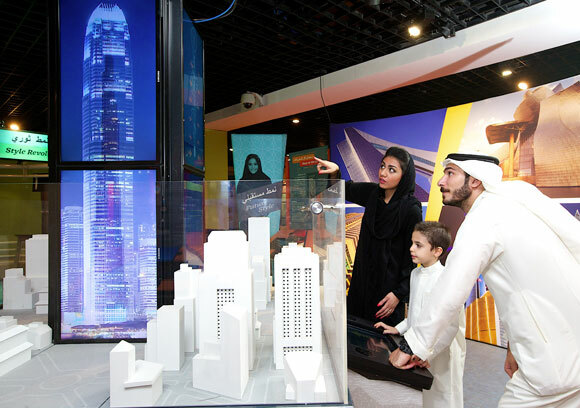 The Guide is organized into six sections that match the theme areas of the exhibit: Adventure Sports, Environment, Style/Design, Entertainment, Video Games, and Robots/Space. The activities take an inquiry approach to learning and have the flexibility to be adapted to younger and older students. They are written with a personal style, addressing students directly, requiring only supplies that are easy and inexpensive to obtain. A chart is included to show the links between the activities, the math content and the related component from the national “Principles and Standards for School Mathematics.” Also included is a brief overview of the exhibit itself to prepare for your visit and support your follow-up activities.